If you thought that Spanish mobile phone providers were only limited to the big three: Movistar, Vodafone and Orange; think again. A smaller company can often work out cheaper, and in many cases offers exactly the same services. Customer satisfaction surveys always include some of these smaller companies in top place, so why not try one? First of all get a good idea of what you need. Find your last three bills and see how many calls you made, your data use and whether you still send SMS messages. Video calls (Skype, FaceTime, WhatsApp) vary considerably, but between 10 to 14MB for a 5 minute call. Apps depend on size and use. Companies normally have online introductory promos. Check what the tariff will be after the promo period finishes to compare between providers. Most low cost providers actually belong to one of The Big 3, thereby using their network. If you opt for a low cost provider you may, or may not, end up using a different network so check the coverage first. Simple tariff structure: only 1 tariff available! 20€ for 20GB and unlimited calls & SMS. No minimum contract duration, cancel at any time. 1GB (15.95€), 3GB (16.95€), 12 GB (18.95€), 23GB (19.95€). 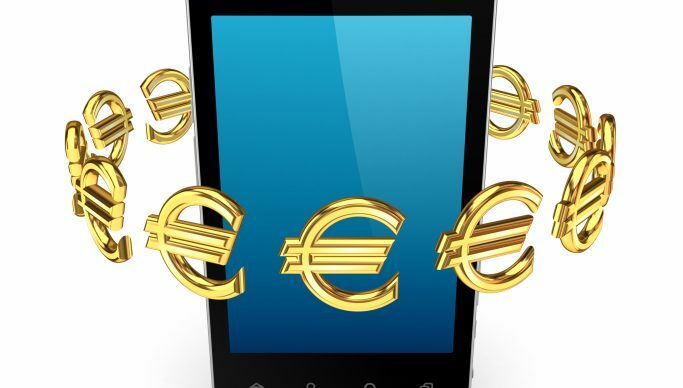 Unused MB can be accumulated to the following month, or if you need more pay 1€ per 200 MB. If you buy extra MB and then don’t use them, they’ll also be accumulated for the following month. No minimum contract duration, leave at any time without a penalty charge. Uses Vodafone network and covers 99% of the Spanish territory. Need to contract online at Pepephone.com and choose from one of their tariffs depending on your data and call needs. 6GB with 101 mins free calls: 14.90€. 23GB with unlimited calls: 19.90€. Pepephone has its own network, check coverage for your area. No minimum contract duration – you can leave at any time without a penalty charge. If you think you’ve been charged incorrectly, the company will refund first and then check the details. If there’s a break in service, you’ll automatically receive the official compensation discounted off your next bill without needing to claim it. 25 GB with unlimited calls 32€. Free calls are subject to reasonable use. Yoigo uses Orange network in Spain. There are more national mobile companies such as Jazztel, Simyo, R, MasMovil, Euskatel and Eroski. It’s a good idea to use a comparison site such as Rastreator or Kelisto to compare tariffs, but often it’s the small print that’s important. NOTE: All prices shown above are per month, include sales tax (IVA) and are correct for February 2019. Promos may be available for the first 3 or 6 months. Related Post: Mobile Service Interrupted? Know Your Rights!